Motor Dynamics, Ltd is a UK based corporation with Corporate Headquarters in London, England. Operations, marketing, legal, financial, and general matters are managed centrally from these headquarters. However, MDL has established a viable business in the Bahamas. Motor Dynamics uses the Empath system, Nexus power quality meters to provide services for Efficiency Evaluations & Predictive Maintenance. 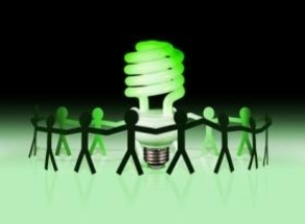 Sales are generated primarily through energy efficiency evaluations and Power Quality consulting. (MDL) Motor Dynamics LTD provides engineering services, technical resources, training, and products for our clients. (MDL) Motor Dynamics LTD will focus on industrial, commercial, & hospitality. (MDL) Motor Dynamics LTD provides Asset Protection to our clients through three distinguishing services. Our mission is to assist our clients in accelerating their facility's operations to the top of the industry. Ideally, with the implementation of our services, your company will gain a profitable balance of improved quality and operations, as well as reduction in costs and waste.